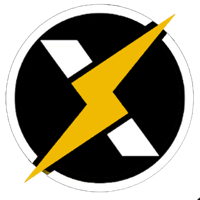 Electronero is otherwise known as "ETNX" and runs without being controlled by a central bank or single administration. It is not a mineable decentralized cryptocurrency, so in order to get ETNX, you must buy them from a currency exchange. It adopts the proof of work (pow) consensus and the CryptoNight Fast algorithm. For the latest from Electronero, you can find them on social media sites, such as Reddit, Telegram, Facebook and Twitter. We don't have any cloud miners listed for Electronero yet, check back soon! We don't have any exchanges listed for Electronero yet, check back soon! Visit our full electronero mining calculator. We don't have any wallets listed for Electronero yet, check back soon! We don't have any debit cards listed for Electronero (ETNX) yet, check back soon! We don't have any price charts listed for Electronero yet, check back soon!